From an outsider’s perspective, I think countries such as Korea and Japan have already established defining images in the Western world; For example, when I think of Korea I think of spicy food, I think of all the Korean beauty products, I think of K-Pop. When I think of Japan, I think of Harajuku Fashion, Geisha, Shrines, Mt. Fuji, I think of Anime, Sushi, Ramen, Tempura. But, if someone were to ask me what objects I associate with Taiwan, I don’t think I would have been able to give an answer. I admit that, even after visiting Taipei a few times, I wasn’t sure what it was that made Taiwan unique from other countries. Because of it’s close proximity to other countries, including Japan, it seems to have absorbed a little bit of culture from everywhere. Japanese brands such as Daiso and Muji can be seen on the streets, and Japanese restaurants were almost as common as local food. Korean beauty brands also had established shops on street corners, and the restaurant across the street from our apartment was named after the busy shopping district in Korea, Myeongdong. But this time, on my trip, I realized there’s one thing that Taiwan does right, that will probably keep me coming back to visit for years to come. 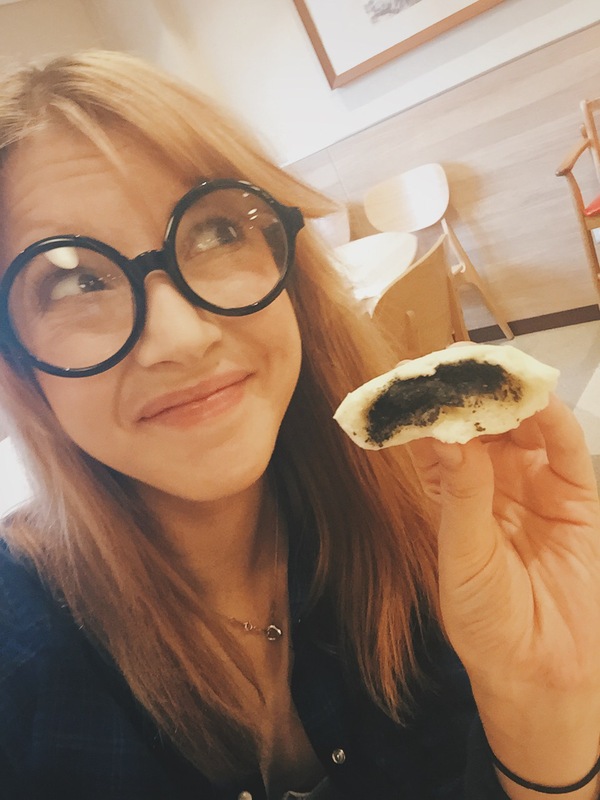 Food in Taiwan is absolutely incredible. There’s a hint of imperfection in almost everything that is made locally, and, as a result, you get some of the most sincere and honest flavors you could imagine, at the most incredible prices. The most fascinating part of the food culture in Taiwan, is that you can find anything you want, almost anywhere. Local food is never more than a stroll down the street, and it’s not so much about where to go, but rather what you’re looking for. So if you’re looking for local food, here are a few things you should be keeping an eye out for. Another thing to keep an eye out for is 餃子, which Japanese learners might immediately recognize as “gyoza”, but in Chinese these characters are read as jiaozi. These are chinese dumplings with ground meat and vegetable filling wrapped in dough. Jiaozi are amazing and INCREDIBLY CHEAP! Enough jiaozi to fill your stomach will only cost about $1-2 USD. 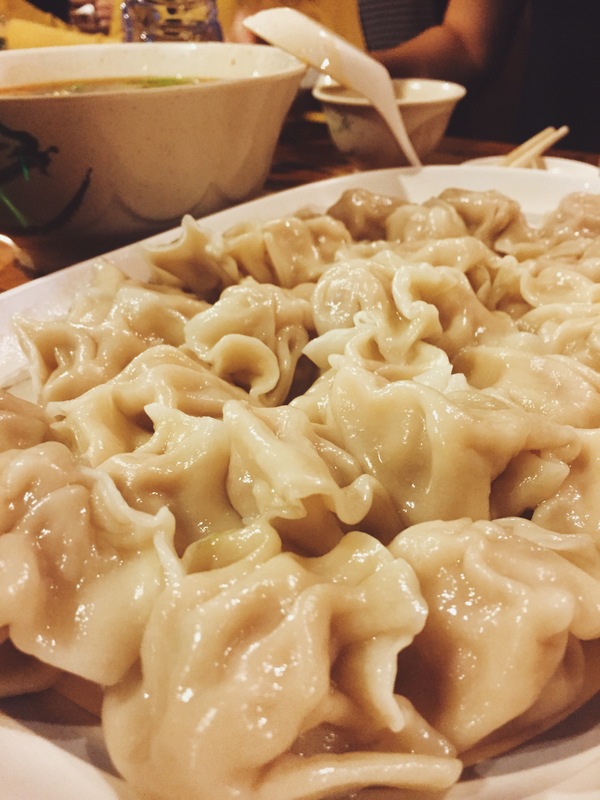 We ordered a large plate of 水餃子, boiled dumplings, called shuǐjiǎozi and beef noodle for dinner one night and it made an amazing, cost-effective meal. 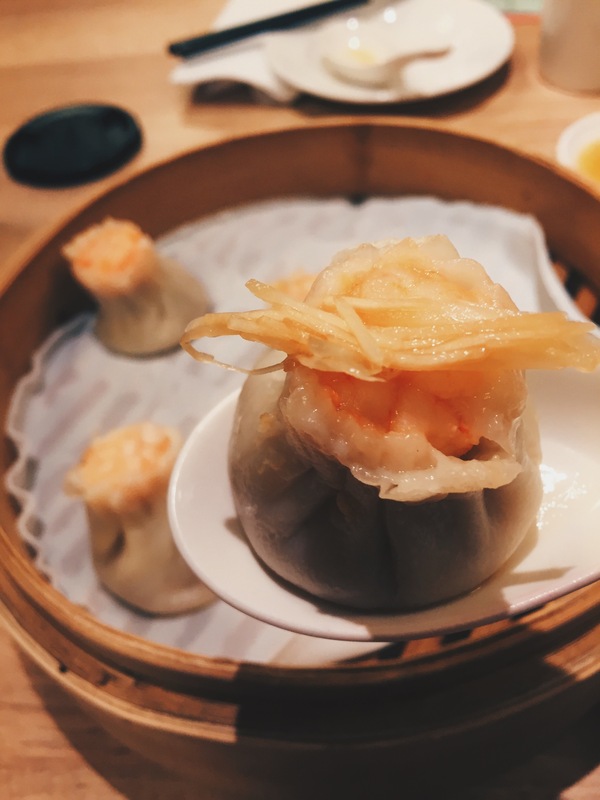 When it comes to trying the best of the best of Taiwanese cuisine, everyone rants and raves about Din Tai Fung. 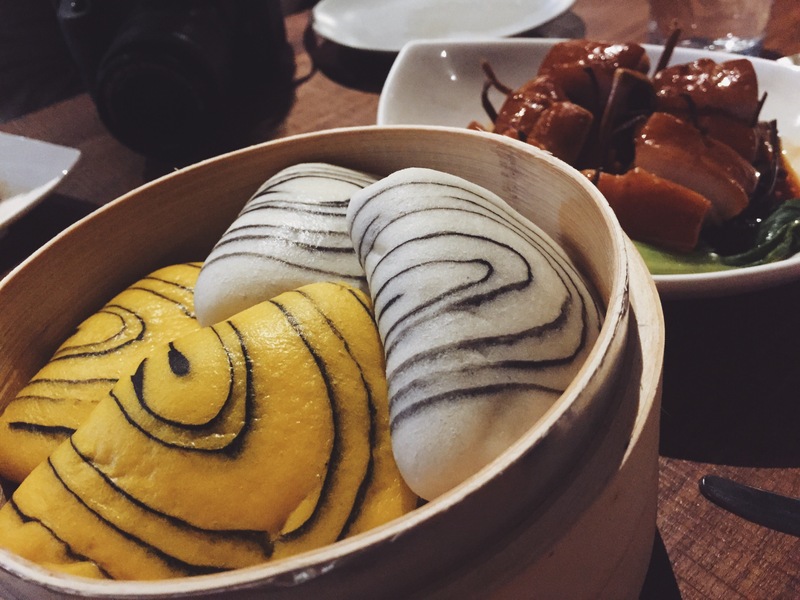 Their specialty 小籠包 (xiaolongbao) is said to be world-renowned as the best, in spite of the dish itself originally coming from Shanghai, in China. Our taxi driver insisted that Din Tai Fung is touristy, and that there are better local places to eat, but my wonderful facebook page travel advisors insisted we try it out, so we did. To Din Tai Fung we go! There you have it. You’re looking at a serving of Din Tai Fung‘s famous xiaolongbao. Because the restaurant is so popular, we waited 25 minutes outside before getting in. They require you to place your food order while you’re waiting outside, but this ends up being pretty time-efficient, because as soon as you sit down, the food starts rolling out. The xiaolongbao are served hot and steaming fresh, with a mixture of vinegar, soy sauce, and ginger. A server comes by regularly to make sure you never run out of grated ginger to place on top. As soon as you’ve finished a certain serving, a waiter comes again to whisk away the empty baskets and make room for the next dish. The entire experience feels quite rushed, probably because they have so many people outside waiting for seats, but the food is satisfying and filling. 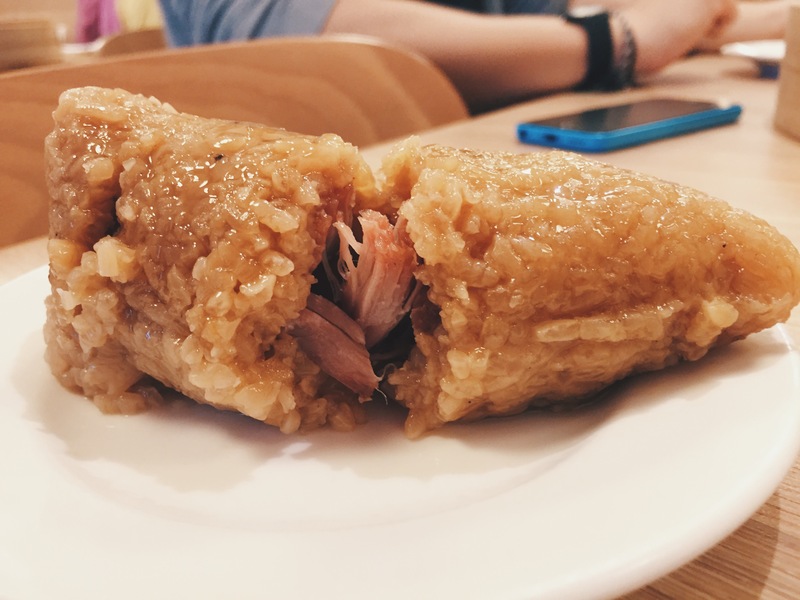 粽子 (zongzi) is a traditional Chinese food, made of glutinous rice stuffed with various fillings–in this case, ours was filled with pork! This dish, while admittedly mindblowing, was incredibly heavy and filling. It’s a great choice when you’re hungry, but not when you’re trying to eat all the things. You’ll get full rather quickly! As much as I loved this, I wish I had ordered something else and saved room for more food! 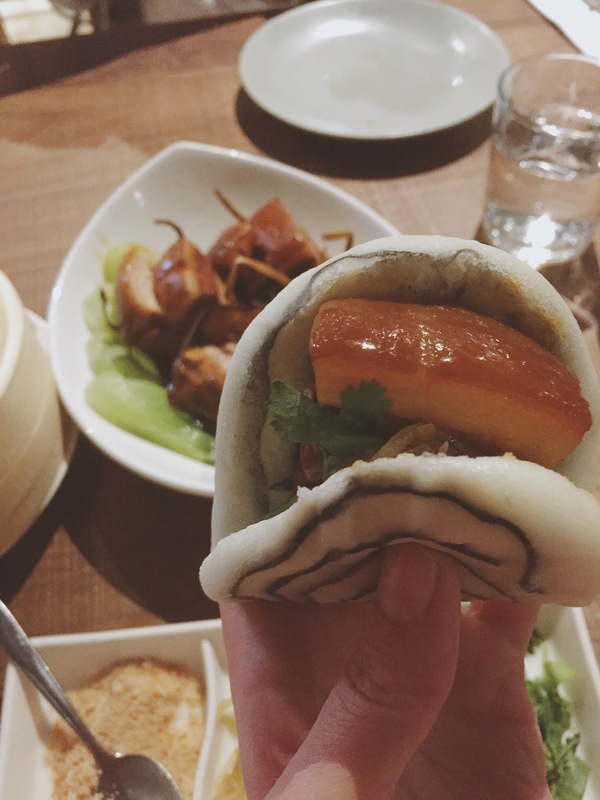 Overall, the dining experience at Din Tai Fung is more or less, what you’d expect it to be. It’s more expensive than average local dining, but the food quality is reliable. 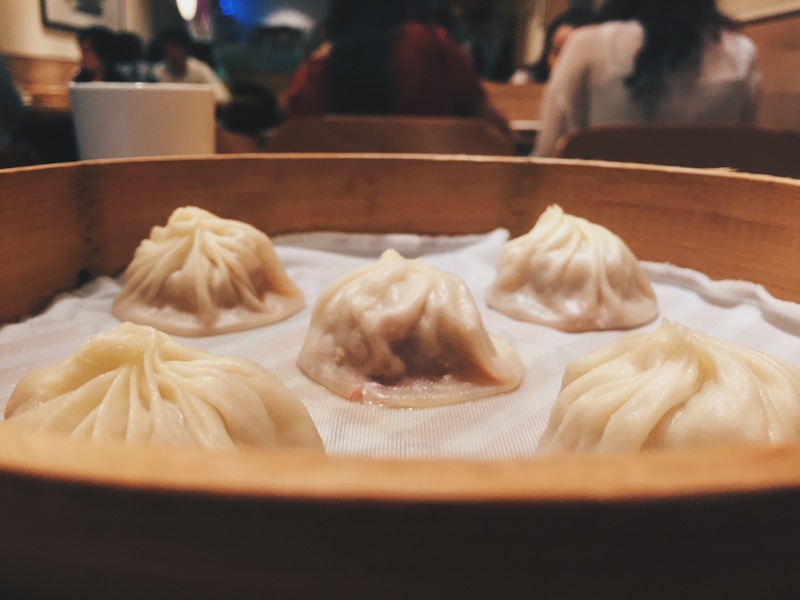 It’s a good place to go to experience a little bit of everything, although, without knowing what the “standard” taste of each item is, it’s really hard to judge if Din Tai Fung really is “the best” or not. I would have been happy to continue eating at local food stalls and little restaurants for a cheaper price, since I’m not educated enough to know the difference in quality at this point. Another interesting place we visited during our stay though, was a rather trendy-looking restaurant near our Airbnb in Da’an, called “Sanhoyan“. From the presentation and style, I thought Sanhoyan would be a chain-restaurant brand, or franchise, similar to Din Tai Fung, but it looks like there is only one location in all of Taipei. 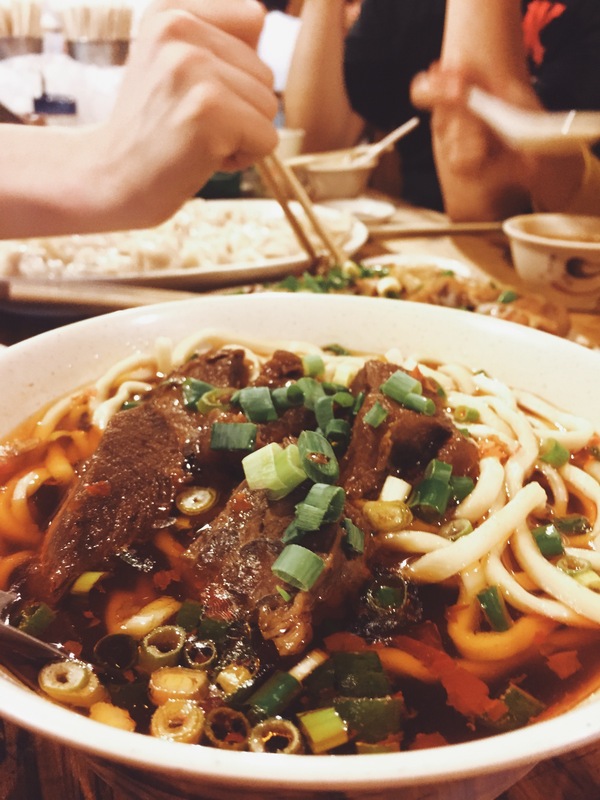 I actually found this restaurant on Yelp when I was searching for something a little special for my last night in Taiwan, and I wasn’t disappointed. Since this restaurant prides itself on introducing a “new style of Taiwanese food”, everything is served with an added bit of flair and style. 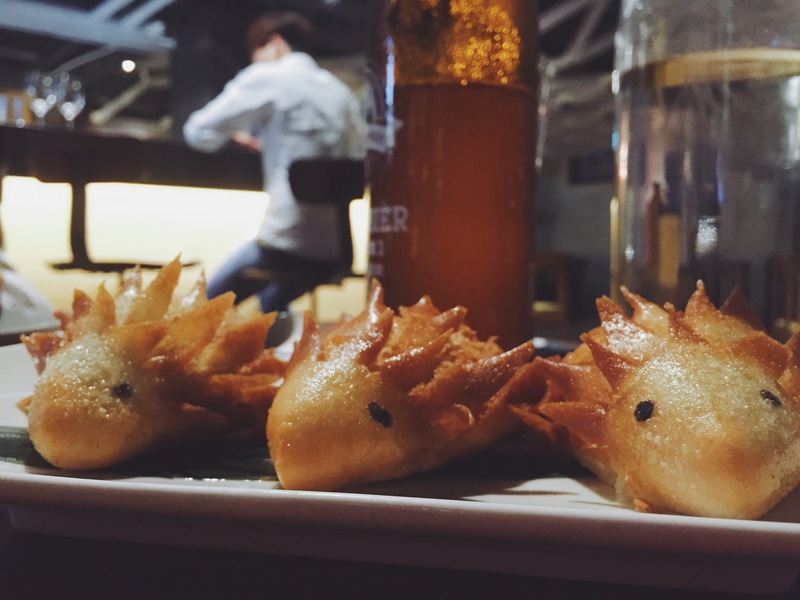 The must-have item on the list was “hedgehog shaped pork buns”, which were so adorable I almost didn’t want to eat them at all. 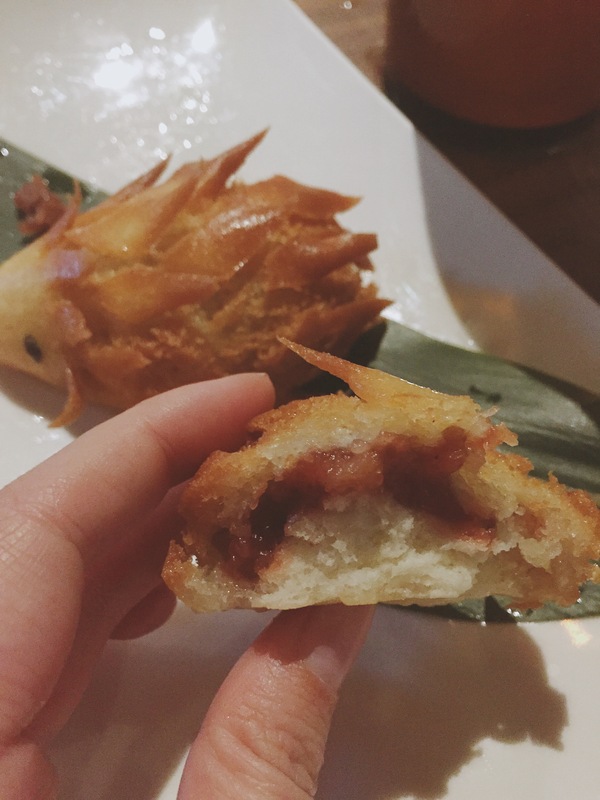 The outside of the bun is crisp and flaky, and inside is a pink sweet-pork filling. As adorable as they are, though, they are a little bit greasy and filling, so one is probably enough per person if you’re ordering a lot of food like we did. Finally, if you’re visiting Taipei for the first time, there are two more things you absolutely must try: the ever-iconic bubble tea, and mango shaved ice. 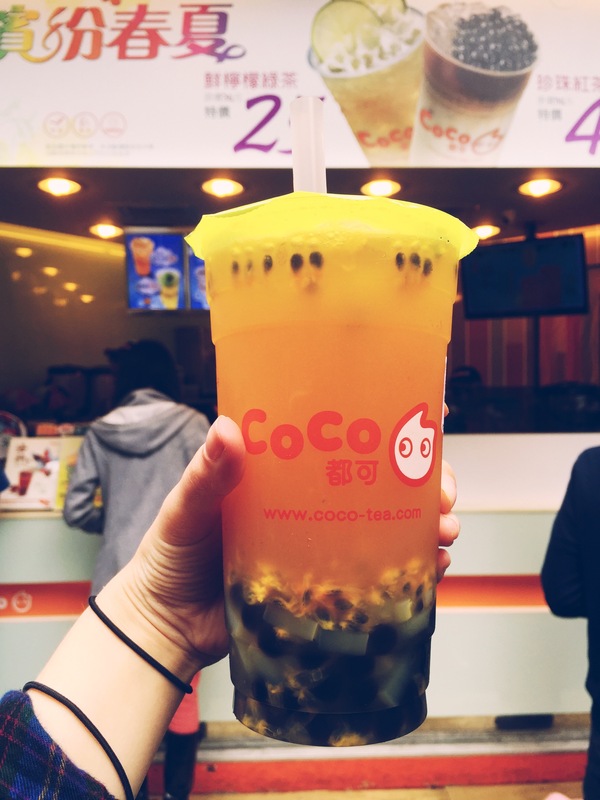 Bubble tea originated in Taiwan in the 1980’s, but now it’s popular all over the world. Most bubble tea are tea-based drinks with fruit or milk, shaken to create bubbles, and therefore “bubble tea”. (Contrary to popular belief, the “bubble” does not refer to the black tapioca pearls that are commonly served inside the drink.) In Taipei, tea-stands can be found on almost every street corner, and larger, more recognizable brands will have English translations written below each menu item, so thankfully, ordering one isn’t too much of a daunting task! As you can probably deduce from the picture above, I ordered the “tropical special”, which was passion fruit, coconut jelly, and tapioca pearls. I didn’t expect the passion fruit to include seeds, so that was a bit of a culture shock for me, but my friend laughed and explained to me that I can swallow the seeds–I had no idea! For future reference though, you can’t go wrong with an original Tapioca Bubble Tea. Simple is best, especially if you’re trying bubble tea in it’s home country for the first time. After you get a feel for how it’s ~supposed to taste~, then I recommend being more adventurous in your choices. Finally, especially in these hot and humid summer months, you absolutely have to try Taiwan’s famous mango-shaved ice. Where I live, in Japan, fruit is insanely expensive, and you would never expect to see it in such abundance, at such a low price. Compared to Japanese かき氷, or Korean patbingsu, Taiwanese Mango Shaved Ice is on a completely new level of amazing. You may remember how I earlier described Taiwanese food as “imperfect” and “honest”, and that’s something I LOVE about eating here. The mango is fresh, and it’s apparent in the way that it doesn’t always taste sweet, because no two fruit are the same. The taste is inconsistent, but it’s natural. They don’t use any artificial flavorings or use frozen fruit to preserve the quality. What you see is what you get, and I mean that in a good way. As the shaved ice milk melts, it becomes a consistency similar to ice cream, but the taste is a lot lighter. This makes the taste of the mango stand out all the more. It’s so refreshing, and a perfect source of vitamins on a hot day. For three nights and four days, I was surprised at how LITTLE money we spent in Taiwan. Because transportation is cheap, we took taxis all around the city (when we could have saved money by using the cheap and convenient MRT instead, admittedly.) 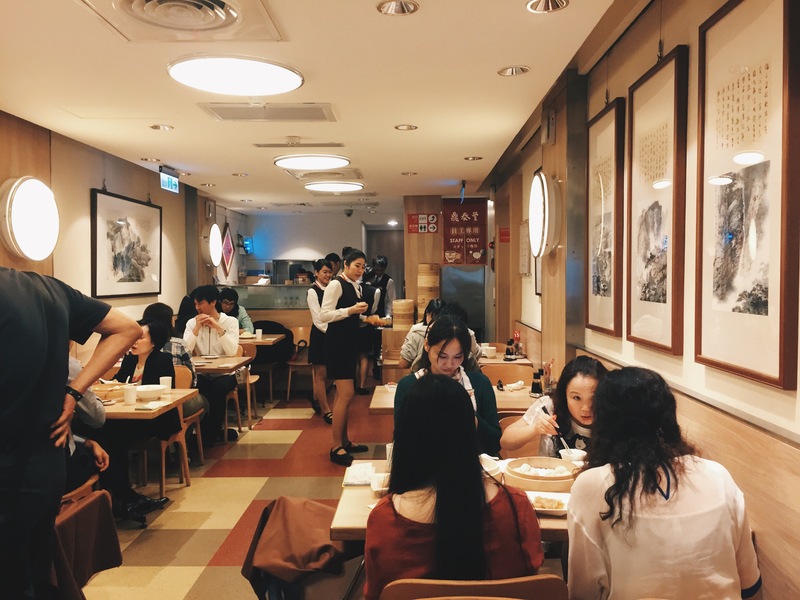 We ate two “expensive” dinners at Sanhoyan and Din Tai Fung, when we could have stuck to local restaurants and filled our stomachs on $2-5 USD. We bought souvenirs at the airport for our friends and co-workers back in Japan, and even then, we only spent about $600 USD total, or rather, $300 per person during our four day stay. We weren’t necessarily travelling on a budget, but I really do think that if we had tried, we could have reduced that cost by half. Posted in Asia, アジア, トラベル, 食べ物, Food, Taipei, Taiwan, Travel, 台北, 台湾Tagged Asia, アジア, オススメ, トラベル, マンゴーかき氷, レストラン, bubble tea, Din Tai Fung, 食べ物, 観光, 鼎泰豊, food, mango shaved ice, restaurants, Sanhoyan, Taipei, Taiwan, taiwanese food, travel, xiaolongbao, 叁和院, 台北, 台湾, 台湾料理Bookmark the permalink. I find out that one of the romanizations of 牛肉麵 which is recommended to use is Niu-Rou-Mian. Thanks so much! 🙂 This helps a lot! Does that help? 🙂 Good luck studying! OK… that mango shaved ice looks like the most amazing thing I’ve ever seen!! I thought the note about passion fruit seeds was cute, because all you eat from them is the seeds. Infact it’s pretty much made up of all seeds. (think pomegranate) But the first time I even saw one was in my late 20’s, it’s interesting to think there are simple things like fruit out there that we have no idea about?! Like, what if someone never ate a pineapple before and they have no idea how to eat it? Ahahahaha! Oh my god, this is so awkward. Now that i think about it, I don’t think I’ve ever eaten a passionfruit before, I’ve only had passionfruit juice, most likely by tropicana or something. Maybe that’s why I was shocked it had seeds in it? I feel like I’ve been sheltered all my life now! Regarding the bubble tea, Taiwan is really famous just for its specialty teas as well; its the only place Ive ever gone to where you select the amount of ice and sugar you want in your drink XD Do you have this in Japan as well? In Hong Kong its usually only asked in those Taiwanese tea stores. Thank you for your comment! But I didn’t go to Ice Monster, I just looked it up and the menu looks totally different! I went to a place in Ximen, it didn’t have any English and I have no idea how to read the name, but since there are so many places in Taipei that do mango shaved ice I figured that it didn’t matter if I named it or not. There are plenty of other places to get it! I’m hoping I can visit HK next too! I’ll add it to the article when I get home 🙂 thanks for inspiring me to look it up. I love xiaolongbao very much. Din Tai Fung is great, actually, but I recommend you xiaolongbao of Nanxiang Mantou Dian（南翔饅頭店、なんしょうまんとうてん） from Shanghai. Comparing to Ding Tai Fung, the skin of paos (?) is thicker and it contains more soup, therefore you must feel much hotter. Shrimp (prawn?) xiaolongbao is my favorite. 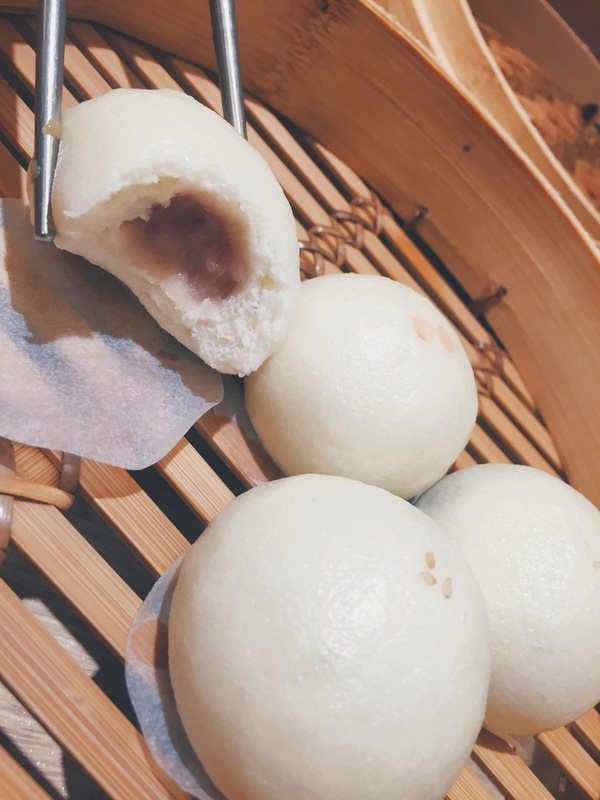 It is unfortunate that you cannot enjoy it now because of the seasonality, but Shanghai crab xiaolongbao is creamy and great… Nanxiang is in close to Yuen park in Shanghai, while Nanxiang has one of their branches in Fukuoka. Why don’t you try that, firstly?